When moving abroad you should definitely take out expat insurance and protect your family for the case of any emergency. There are several types of insurance which will be really useful when living abroad as an expatriate. In any case you should take out insurance for medical cover and a good life insurance. Other insurances like car insurance and home contents protection are necessities at home and abroad. Medical Insurance for Expats is a real necessity when living abroad. Different health standards in your expat destination often make it necessary to take out private health insurance. In many countries the public health system is quite basic, so you want to protect yourself and your family with either an additional or complete private health insurance. Medical aid schemes in the countries often do only cover for medical emergencies and you will have to get additional cover for dentist appointments or when you need to see a specialist. With a private medical cover you also will often be given preferential treatment and do not have to go on long waiting lists. The only disadvantage is that you often will have to pay cash up front for any treatment, however you will get reimbursed as soon as you hand in your bills. You will be able to choose between standard covers and more comprehensive health plans. Comprehensive health insurance cover will usually include routine dental work, out-patients specialist treatments, some alternative healing methods, physiotherapy or other complementary therapy methods. Please check your insurance contract details carefully before you commit to any insurance plan. Be aware that many sports might be considered hazardous by your insurance, like water-skiing, mountaineering, bungee-jumping or paragliding. You should declare in your insurance contract that you are taking part in such sports and have a written confirmation by your insurer that they still provide cover for you. Annual Travel Insurance will cover for trips abroad to countries which are not covered by your expat health insurance. However if you have a general international health insurance you should not worry about any holiday trips abroad. Be advised however should you have an expat health insurance for a specific country you might have to take out additional cover for any longer trips back to your home country. Usually only a short period to your home country is still covered, so be sure to know about any time limits for trips abroad. Annual travel insurance is often offered by your bank or credit card provider, as well as your travel company. Check the basic insurance which is included in any gold or platinum credit card membership before committing another insurance premium. Depending on the cover you might not need to take out extra insurance cover for your travels. Life Insurance is also considered to be an important cover for expatriates. Living in foreign environment often brings different kinds of danger and you really want to get you family protect for any case of emergency. Also you should make a priority of writing a will which covers your assets in your home country and your new expat home. Should you buy property abroad then a will in this country is a must, otherwise it often will take a very long time until the estate is accounted for. Here your local bank can provide a helping hand, usually with private banking there are no or only little fees involved in drawing up a will or will safe custody. There is usually an age limit with the insurers for term life insurances, which you should enquire with the insurance companies. There are several insurances which you should also consider taking out when you are an expat moving abroad. These insurances will cover you for any eventuality and will help you to recover faster from any traumatic incidents, at least financially you will get help in emergencies. You should get familiar with the following insurances or your insurance details should you already possess these covers and decide which one you can keep in your home country and which ones will be better or even cheaper to take out in your new home. And always take your previous insurance or expat insurance details with you when moving, as you will often be able to negotiate rebates for non-claim status when you can prove this with a letter from your previous insurance company. 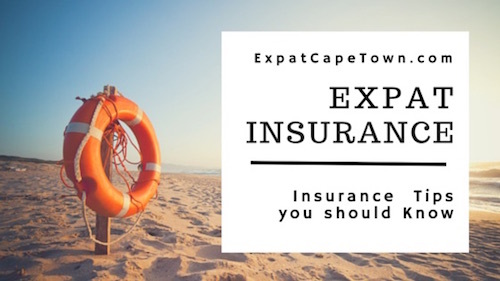 Are you looking for information on expat insurance companies in Cape Town who could help you with a free assessment of your situation, then contact me and I can recommend a trustworthy consultant to get a free quote. 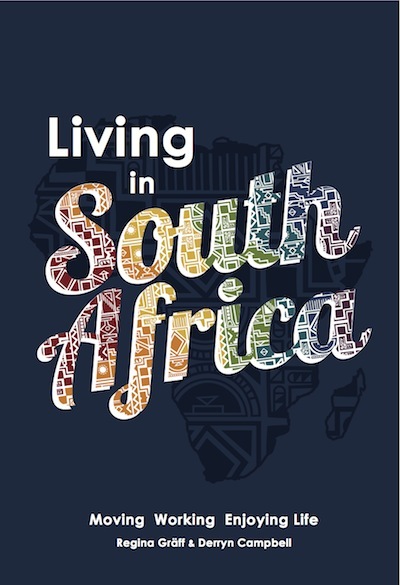 As I am currently researching the situation in Cape Town and am grateful for any expat insurance tips and advice or your expat insurance experiences in South Africa. Are there any companies which were especially helpful or can you highly recommend an agent for reliable expat insurance? Contact me.